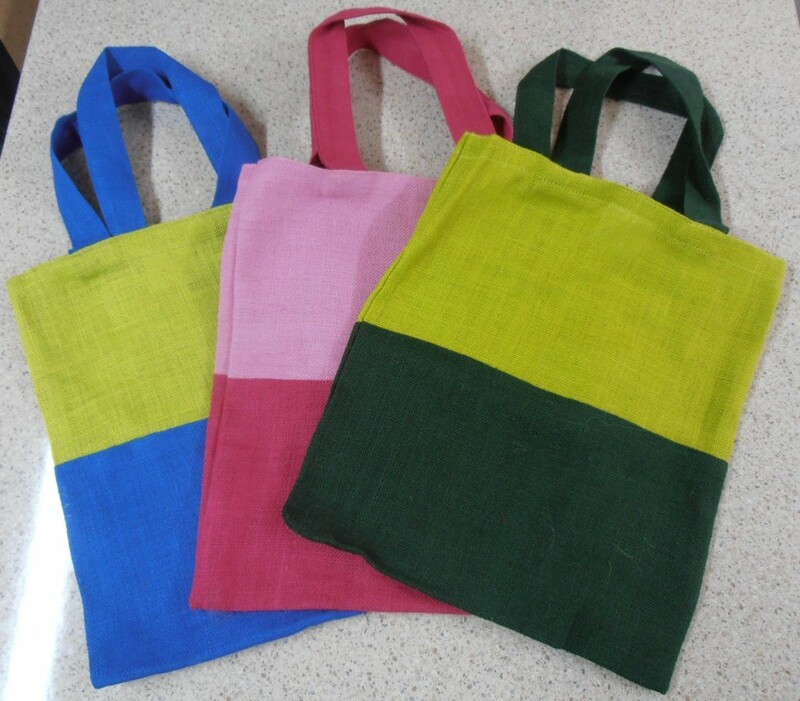 Kate is one of our new members who comes to the Cottage on a Tuesday, and she has been very busy making a large collection of two-tone jute tote bags. She very generously shared them with the group so we will all be very colourful when we go shopping. Thank you so much Kate for the beautiful bags.